We all have certain oddities and peculiarities we would rather not admit. However, it might come as a huge relief knowing that we are not alone. Famous people are often known for their quirky habits. Whether these habits have helped them spur their creative energy or have contributed to their success, we cannot know. But it wouldn’t hurt to try… or would it? We will leave it up to you to decide whether you want to try some of these unorthodox habits. 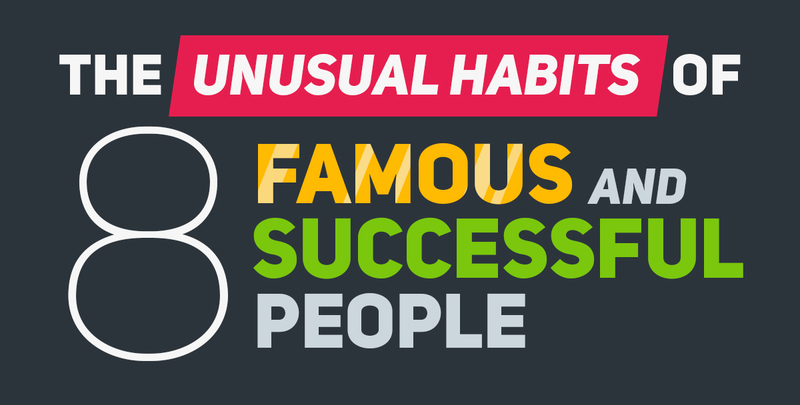 To learn about all of them, check out our infographic (also featured in Entrepreneur.com) on the unusual habits of 8 famous and successful people from Voltaire to Donald Trump. Don’t forget to share it on social media or even embed it on your website using the code at the bottom! Please include attribution to Bryant Surety Bonds with this graphic.